The Hyundai Group has revealed to a news outlet that it is working on a new platform specific to electric cars which will launch in 2021. This will focus on B and C segment cars. The platform will be a modular structure, along the lines of Volkswagen's MEB architecture. This means that SUVs, hatchbacks and sedans can be expected to be derived from it, for both the Hyundai and Kia brands. These cars will also be styled differently and have a more aggressive look to them. This development also lines up with the firm's goal of having 38 eco-friendly cars, 14 of these will be all-electric, as part of its product line-up by 2025. The group's luxury brand, Genesis, will launch its first electric vehicle by 2021. 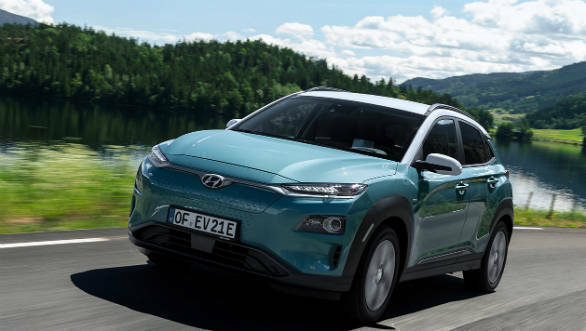 India will get its first electric car from Hyundai this year, the Kona EV. But this will be sold in limited number, given that it will come in as a CBU. The Kona EV, like the Kia Soul EV and the Kia e-Niro, are currently derived from traditionally powered cars. An anonymous source at Hyundai Group told the news outlet, "A new platform dedicated to electric vehicles is about two years away. It will probably focus on B and C-segment [small and medium-sized] cars." From an Indian perspective, these cars could be well poised to replicate Hyundai's success with traditionally powered cars here. They could most likely be re-adapted to suit are conditions better. Further, given Hyundai's strong manufacturing base here, could even be produced here, making them a viable alternative.